Homeschooling has its challenges from developing curriculum to finding educational activities that will keep your students engaged. Monthly themed Groovy Lab in a Box is the ideal complement to your curricula, traditional textbooks and supplementary workbooks. Collaboration is key to learning and each groovy box can fit the needs of up to five STEMists – STEM Team titles are outlined in the extended learning portal Beyond…in a Box! Groovy Lab in a Box will quickly turn your homeschoolers into true STEMists through hands-on experiments that teach science, technology, engineering, and math. STEM•ist /stĕmʹĭst/ n. Expert in applying science, technology, engineering, and mathematics. Explorer, creator, inventor…STEMist! Groovy Lab in a Box fosters imaginative innovation and encourages problem solving through project-based learning. Each month’s box has a theme, such as Lunar Launch, Fly with Me, What’s the Matter, and Greenhouses. The custom Lab Notebook is where your STEMists will find easy-to-follow directions for each investigation, take notes, draw each project’s design plans and record their findings. “The lab notebook was set up to make it easy to record what we thought would happen, our actual results and what we thought of them. My oldest loves building and doing experiments, but usually hates the writing/data portion. The question prompts and simple charts to record info made it more fun,” said Cheryl, the creator of Sew Can Do, and a self-taught crafter, designer and homeschooling mom of 3. 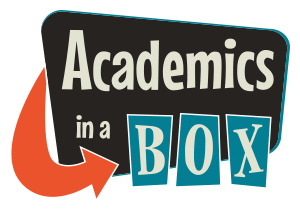 STEMists also have special access to our online learning portal, “Beyond…in a Box”. Interactive activities, videos and other information are available on the portal to help homeschoolers learn about that month’s topic in addition to providing help to complete the engineering design challenge. So, whether you are homeschooling one child or ten, Groovy Lab in a Box has you covered with our monthly subscription or our single box orders. Visit Groovy Lab in a Box today to bring unique STEM-related, project-based learning to your homeschoolers.